Ms. Siobhan Byron serves as Vice President of Canada at Westcon-Comstor Americas. Throughout her 25+ year career in the IT and Professional Services channel, she has earned a reputation as a keen business strategist, trusted people leader, and innovator in designing and launching strategies and frameworks to capture new revenue opportunities, expand into new channels, and catapult sales performance. 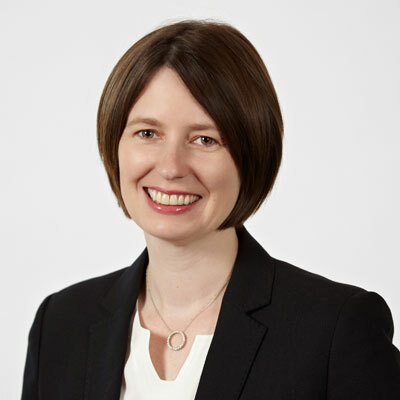 Prior to this role, Siobhan held dual executive leadership roles with Forsythe Technology from 2007 to 2013, where she was challenged with starting up, launching, and leading a managed services business in North America, and a business in Canada - serving as President of Canada, and Vice President of Managed Services. Before joining Forsythe, she served as the Vice President of Professional Services at MTS Allstream, a leading communication solutions provider, where she was a responsible for the sales, delivery and operations of the central region. Previous roles at MTS Allstream included: Managing Director, Professional Services; National Director, Project Management Office (PMO); and Director of ERP practice. Siobhan started her career in the IT Department of the Bank of Ireland, before moving on to Project Manager and Consultant with SHL Systemhouse - later acquired by MCI Systemhouse, Worldcom, and EDS during her tenure. To advance our channel business as a new team within the SYNNEX organization, we have been working to expand our business through cross-sell initiatives where we sell our current vendor lines into the SYNNEX customer base and also bring the SYNNEX line card to our Westcon-Comstor customers. Throughout the year, we have also continued to add new vendors and solutions to our line card across our security and unified communications and collaborations portfolio to ensure we are continuing to bring the best solutions to our customers. We have added cloud solutions and delivered training and enablement sessions to support our channel partners in developing their cloud business. This is an important initiative as we help our clients make the transition to the cloud. The Westcon-Comstor Americas business was acquired by SYNNEX in September 2017. A successful integration of the Westcon-Comstor team is a key objective. My goal is to ensure this transition is smooth for our customers, vendors, and team with all of us realizing the benefits of the combined business. For our vendors, that means access to an expanded channel, and to our customers, it will include an expanded line card and solutions with improved tools. We will also continue to develop and expand our solutions in both services and our line card to bring value to our customers and vendors. Bethany Hamilton. Bethany was a thirteen-year-old who lost her left arm in a shark attack doing what she loved - surfing. She took a tremendous set back, and through sheer determination and commitment overcame her fears to become a successful professional surfer. And though it's not typical to admire someone younger than yourself, I admire that Bethany was chasing her dreams and then in the face of a massive set back, dealt with the changes that required, redoubled her efforts, and was ultimately rewarded. Get an education and love what you do. Work is hard, work is long, and work always has challenges. But unless you win the lottery, work is also inevitable. If work is nothing but a pay check, it will ultimately be unsatisfying. So if you love what you do, it helps you deal with challenges and long hours, and ultimately, it will make you more successful. The ability to speed read. Technology changes at such speed these days that it's one of the most exciting aspects of this job and industry, however, it does pose a challenge in terms of keeping current especially with all the content out there. The ability to speed read would be extremely useful. Snuggle Puppy by Sandra Boynton. I have been reading this book to my 5-year-old son since he was born, and it's his favorite book. Every time I read it to him now, we both know the words by heart, and we share a special moment that brings us both happiness. Business trips don't seem quite so long and arduous because I can spend five wonderful minutes with my son sharing this lovely book.